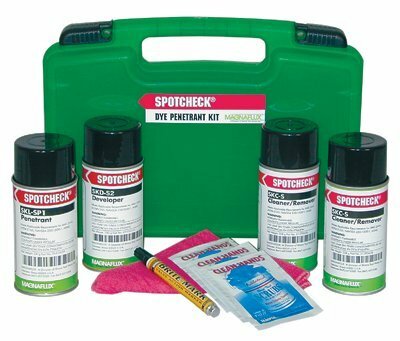 SPOTCHECK visible penetrant kits quickly locate surface cracks. Easy to transport for field inspections. No UV light required because of vivid red indications. If you have any questions about this product by Magnaflux, contact us by completing and submitting the form below. If you are looking for a specif part number, please include it with your message.